Baby monitors have been getting a lot of bad press recently, due to concerns around how secure they are. 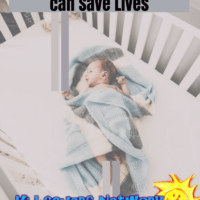 However, the right monitor could potentially save your child’s life – especially if your heater or heating system malfunctions in the middle of the night. In February of this year in Texas, a malfunctioning HVAC system caused the death of 17-month old Sammie Volmert. Her parents had a split HVAC system. They put little Sammie to bed with the nursery thermostat set to 72 degrees. When they awoke, they realized the heating system had malfunctioned during the night. By the time her father reached the nursery, the heat was around 100 degrees and poor Sammie had passed away. The cause of death was listed as “Hypothermia”, due to an elevated body temperature. 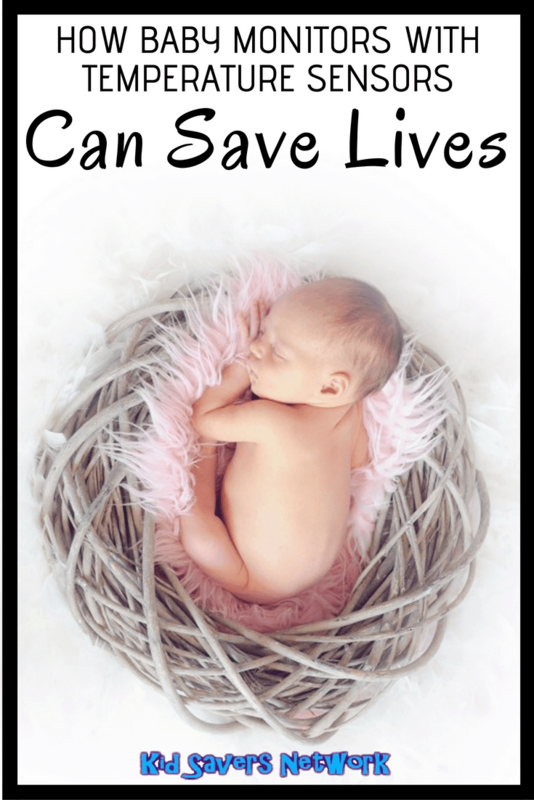 Doctors noted that although more common when children are left in cars, it is quite rare in the home. As many parents know, young children and babies are particularly sensitive to changes in temperature. Sammie’s 3-year old brother Jackson was also on the same floor. He remained unharmed by the change in temperature. The Volmerts have a facebook page “Remembering Sammie Volmert” where you can read their account and similar stories from other parents. The Volmerts are now seeking legal action against the HVAC company, but nothing will compensate them for their little girl. They are urging other parents to invest in Baby Monitors with can also measure room temperature. Surprisingly, this feature is not on many of the best-selling baby monitors . There are also some which do say they “Monitor Temperature” but it is only visual! How can you see a visual alert when you’re sleeping? 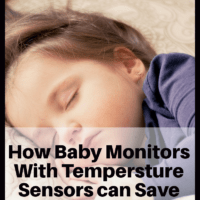 To help, we researched the best baby monitors with temperature sensors that can actually wake you up and warn you in time. Vtech is one of the leading brands of Baby Monitors. There VM321 model does something that many from Samsung, Summer Infant or even Motorola don’t. It beeps if the room is too hot or too cold! Sounds simple, but many baby cams don’t have this important feature! It also sounds an audible alarm (not just visual!) if the battery runs low or the link is dropped between the camera and the receiver. As discussed earlier, this is absolutely essential for when you’re sleeping and want alerts you can act on from the monitor. As discussed earlier, this is absolutely essential for when you’re sleeping and want alerts you can act on from the monitor. Amazing Range – Up to 1000ft unobstructed! Flashing Sound Alert – In split-screen mode, it can alert you to sound from individual monitors. Many parents are rightfully worried about their monitor feed being hacked. This monitor uses DECT so it is not on a wireless network. This means that it’s more secure and their won’t be interference from other WIFI devices and cordless phones. It also has a two-way talk which is great for parents of toddlers and pre-school children and lullabies too. Some drawbacks to the Vtech VM321 are the relatively small screen size at 2.8”. Also, there is no tilt and pan function. There is an adjustable lens which you can manually adjust to ensure your baby is always in shot. Also, it’s relatively cheap and easy to expand this Vtech model to up to 4 video cameras. This will allow you to have full coverage of the nursery. It also makes it a great camera for twins or as a dual room video monitor. This Hello Baby monitor has a feature that many much more expensive models don’t have – a temperature monitor that beeps loudly and turns the screen red. Naturally, there are some things you won’t get at this price point. At 2.4”, the monitor’s LCD screen is on the small side for some parents. The other thing you need to know is there is no wall bracket included with this model. This makes it harder for parents to mount in the nursery. You can read feedback from parents on the Hello Baby digital monitor here. Philips is a brand parents can trust, and this baby monitor has great feedback from hundreds of parents. 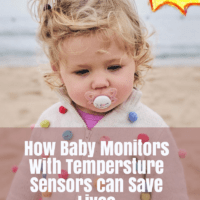 This particular model will monitor the nursery temperature and send an alert to your parent unit if it changes. The alert is a loud “BUZZ!” which parents say is loud enough to wake them from deep slumbers. Philips gaurantee 100% and no interference from other baby monitors, cordless phones or other devices. The DECT (Digital Enhanced Cordless Telecommunications) technology is digitally encrypted to protect your privacy. Video baby monitors tend to burn through batteries. With no video feed, you’ll get an extended battery life which is better on your pocket and the environment. “Audio-only” monitors often have better sound. You’ll be able to hear every movement your baby makes. This audio monitor is cheaper than many baby video cameras. You can check today’s price here. You’ll be pleased to know that there is an alternative solution to monitoring nursery temperature. The SensorPush wireless thermometer will measure both the temperature and humidity of any room and send alerts to your smart-phone. You can pre-program alerts in case the temperature or humidity changes. You can also receive the feed on multiple devices in your home (I.e other phones, tablets) that are paired with it. 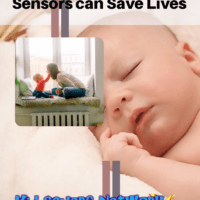 Having a humidity sensor is a great feature that hardly any baby monitors have. Measuring the level of humidity in a nursery is a great idea. Many hospitals keep their humidity at 55%, with 40 – 60% being generally accepted levels. If the air becomes too humid it can cause asthma and breathing issues. It also helps spread things like dust mites, pollen, and other airborne bacteria. The SensorPush Hygrometer currently sends alerts via bluetooth 4.0 (not wifi). This means it has a stated 300ft “line of sight” range. Of course, with rooms and walls the range will be considerably less. Users still report they can put it in the garage and get updates anywhere in their home. SensorPush have announced they are currently working on a wi-fi gateway to make it internet compatible. This wireless hygrometer could make a good, cheaper solution if you don’t want to purchase a baby monitor. 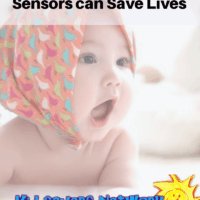 You can find the SensorPush for sale here and on google apps here.